The Grand Cherokee is set to launch in India next year. 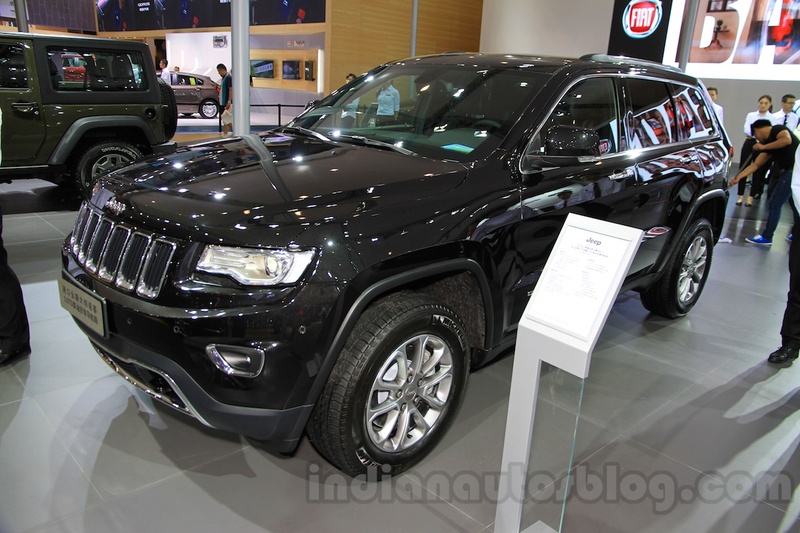 Jeep has displayed the John Yiu limited-edition Grand Cherokee at the Chengdu Motor Show 2015 (CDMS 2015). This variant has been priced at Chinese Yuan 6,89,900 (INR 72,17,995) and 7,59,900 (INR 79,50,362) for the 3.0- and 3.6-liter engines respectively. The exterior is a familiar sight with the signature seven-slot grille, clamshell bonnet, sleek bi-xenon headlamps, small circular fog lamps with chrome-outlined housing and a chrome bumper grille incorporating tow hooks. The side profile sees U-shaped prominent wheel arches, chrome-finished door handles and Grand Cherokee lettering on the front door. The rear gets big angular tail lights, tail gate spoiler, dual exhausts and the ‘limited’ badge. 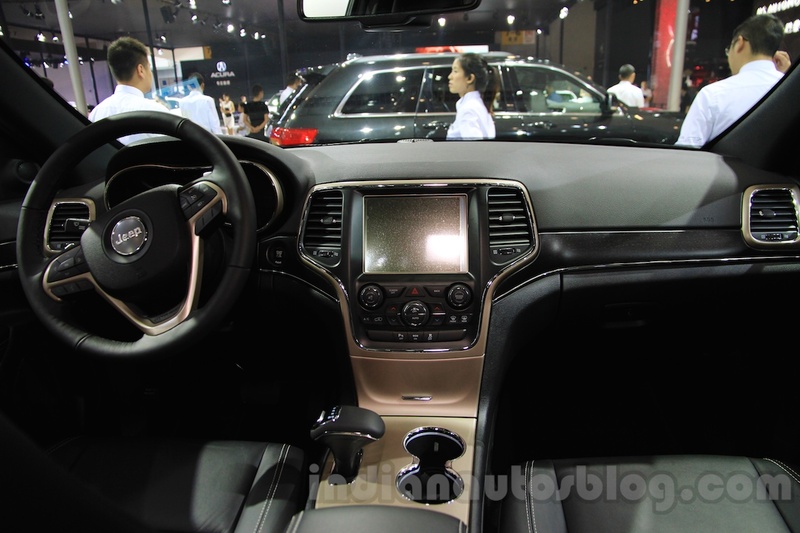 The interior gets a dual-tone brown and black theme with the center console done in a golden hue. The shade of the console matches with that of the three-spoke multi-function steering wheel behind which sits the twin-pod instrument cluster. The center console is dominated by 8.4-inch touchscreen infotainment system. This limited edition gets cockpit acoustic active noise reduction system and a rear entertainment system with 9-inch screens, wireless headphones and infrared remote control. 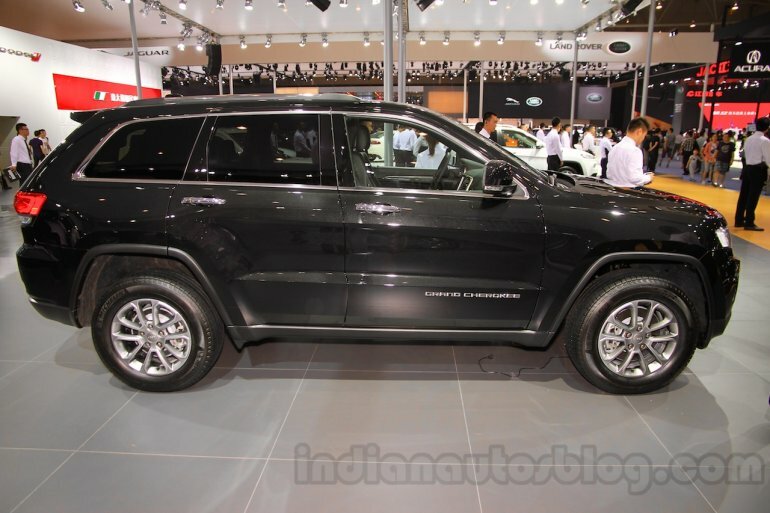 Powering the Jeep Grand Cherokee 3.0- and 3.6-liter V6 petrol engines as well as a 3.0-liter turbo diesel engine. The diesel churns out figure of 281.6 bhp and 347 Nm of peak torque. All the engines are mated only to a 8-speed automatic transmission.